Horses can sleep both lying down and standing up. Horses can run shortly after birth. 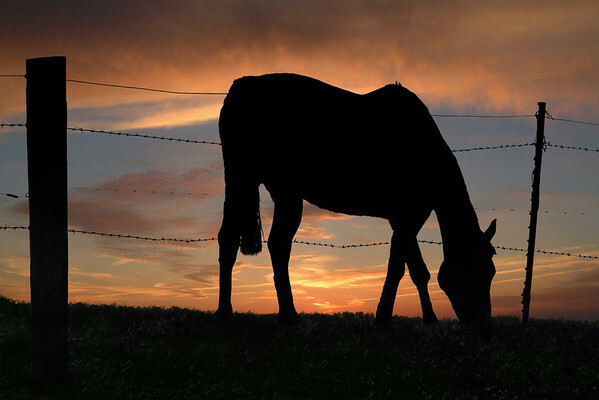 Domestic horses have a lifespan of around 25 years. A 19th century horse named ‘Old Billy’ is said to have lived 62 years. Horses have around 205 bones in their skeleton. Horses have been domesticated for over 5000 years. They are herbivores (plant eaters). Horses have bigger eyes than any other mammal that lives on land. Because horse’s eyes are on the side of their head they are capable of seeing nearly 360 degrees at one time. Horses gallop at around 27 mph. The fastest recorded sprinting speed of a horse was 55 mph. Estimates suggest that there are around 60 million horses in the world. Scientists believe that horses have evolved over the past 50 million years from much smaller creatures.